MSM's Global Conservatory : "The gold standard in music distance learning"
Are you looking for a way for your students to receive lessons and coaching from MSM’s world-renowned faculty in New York City, without leaving your campus? Our customized videoconferencing technology, developed in partnership with Polycom, Inc., delivers everything in real-time, with high-fidelity sound designed specifically for live music programs. This technology lets us provide you with a virtual learning experience that has all the excitement and personal interaction of a private lesson or studio class. Learn more about our technology here. 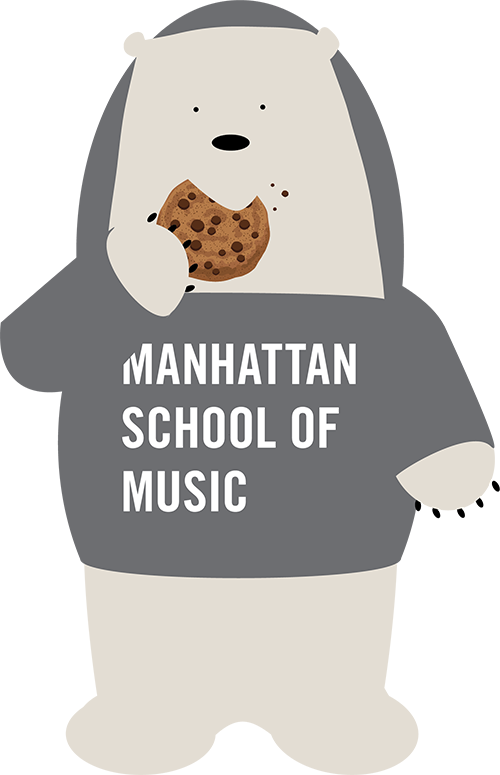 Two and four-year colleges, universities and conservatories may request instrumental or vocal master classes, clinics, coaching and/or seminars with Manhattan School of Music’s renowned artists faculty in classical or jazz music to expand educational offerings for their own students. Sessions for students at partner institutions are offered as either one-time events or a mini-series. For a complete listing of MSM faculty, please visit the MSM Faculty Page. Please be advised that all requests are subject to faculty and scheduling availability. A two-hour lecture-demonstration by a noted Berlioz scholar who offers an illuminating account of one of music history’s most original and intriguing composers. An enlightening, two-hour study of woman composers from the Middle Ages to the 21st century, which looks at the societal restrictions on women attempting to write music, to receive the education to support their compositions, and to attract publishers to publish the music they wrote. We will listen to the music, evaluate the music, and consider the female perspective on music composition through the centuries.